IS BANNING DIESEL BAD FOR THE ENVIRONMENT? Diesel-powered vehicles have been in the news a lot over their environmental performance, or lack thereof. Conversely, industry experts have warned that a clampdown on diesel vehicles could result in the UK actually missing European environmental targets. 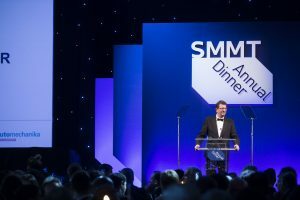 Mike Hawes, Chief Executive at SMMT warned that demonising diesel conversley will have an adverse effect on the environment. “Customers are not moving straight from diesel to electric. They’re moving to petrol or staying put in older cars” he said when speaking at the Society’s annual dinner in December. “So we’re seeing a falling market, declining revenues, rising costs, rising CO2. And, yes, this will have an effect on climate change goals. This is not a policy without consequences”. 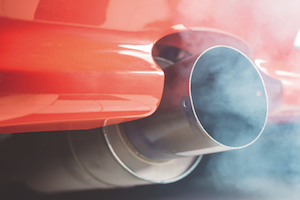 Data firm CAP HPI has authored a report which concludes that the EU’s 2021 environmental targets could be missed if the percentage of diesel vehicles continues to decline on UK roads. The report points out that some of the environmental criticism of diesel vehicles is misguided. All the countries in the report achieved the 2015 CO2 emission target for cars registered in that year. While France and Italy were comfortably below the 130g/km line, the UK is closer, and Germany only cleared the hurdle by 1.4g/km. Matt Freeman, Managing Consultant at CAP HPI and the report’s author, commented that without continuing sales of diesel engine cars, this target reduction is unachievable: “Hitting the 2021 environmental targets for CO2 reduction would be a significant challenge without the likely decline in diesel. Therefore it is imperative that diesels continue to command a substantial share of the new car marketplace. 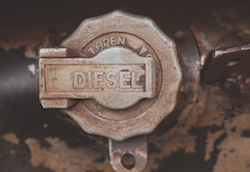 The report argues consumer education is key as there is an apparent risk that consumers are being led to believe that ‘all diesel is bad’ and that any suggestion that there is a good diesel option is due to the automotive industry seeking to resist change and preserve the status quo. This level of miscommunication needs to be countered if diesel is to have a short- to medium-term future. However, the media coverage on diesel is, to say the least, skewed against the fuel no matter what the improvements and consumers are confused. 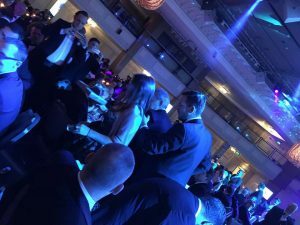 At the aforementioned SMMT dinner, Greenpeace crashed the stage to hand VW boss Paul Willis a faux ‘award’ for ‘toxic air’ and coverage in the mainstream press has been hardly less hostile. This has resulted in drop in demand (by about a fifth) in new registrations for diesel powered cars and new registrations for light vehicles as a whole are down 5.7 percent compared with last year. This has lead to several analysts making doom-laden predictions about the future of new car retail through franchises coming to an end entirely. These might be a little wide of the mark, but it does seem that for a private motorist wanting to upgrade to the latest technology, the idea of a conventional powertrain must seem a bit old fashioned. Most people reading this might wonder why they should care, after all, surely this is a hole that the VMs have dug for themselves? It doesn’t affect the aftermarket… Unfortunately, it does. 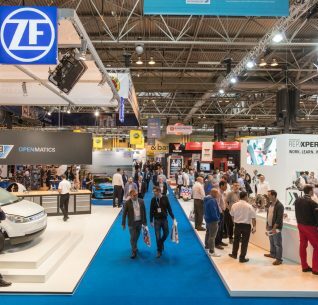 Tens, if not hundreds of thousands of vehicles won’t go through trade auctions and back into the aftermarket as the VMs are holding their own versions of scrappage schemes. As far as I know, no-one has made a serious attempt to retrofit otherwise efficient Euro- 3 onwards common rail diesel engines with devices to clean up their carcinogenic soot, meaning that they are replaced with petrol vehicles that are only marginally less toxic, but will emit greater quantities of greenhouse gas. Meanwhile, the face of the retail motor industry as a whole is besmirched by the failure of the VMs to get a grip on this situation which is a real pity for all involved. FUELLING SYSTEMS: WHAT’S REALLY THE PROBLEM? 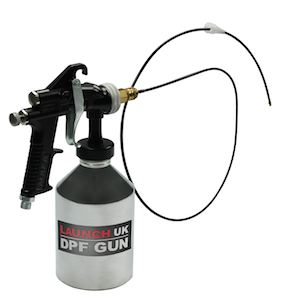 In many cases, the injector and pump are not the cause but the victim of the piece. The fuel system market is growing, with a recent report citing continued growth globally to 2022. Europe is the second largest market for fuel injectors, partially due to improving economic conditions and tougher emission standards, which is expected to grow the market further. 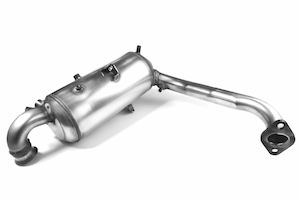 These emissions standards are at the forefront of manufacturers minds and therefore the onus is on their suppliers to develop products that keep vehicles running efficiently. This has put pressure on the fuel system, which is constantly developing to keep up with the demands of the modern world, and forcing the aftermarket to keep up with innovation, causing problems when it comes to identifying faulty units. Petrol and diesel injectors are intricate parts, with holes around 50 microns wide. To put this into perspective, the human hair is around 100 microns wide, which really highlights the tolerances they’re put under. Any form of dirt or grime pulled through the system from the tank or lines could cause issues. As fuel has to be injected at high pressure, a reduction of 8-10% efficiency could cause a misfire due to a leaner fuel mixture. Yet a number of fuel system parts can be replaced when they are not the main cause of any issues. The injector is the point that can be observed when a problem is being diagnosed, meaning if there is a report of low fuel pressure, some garages can believe the injector is the issue, leading to a replacement that is not necessary, especially if the original issue remains. Julian Goulding, UK Marketing Manager at Delphi explains: “The problem causing a loss of pressure could be further down the chain. For example, the pump may have an issue, may not be generating enough pressure, or in terms of diesel, it could be contamination in the rail. It is important that garages therefore carry out a full diagnostic of the system before replacing the injector, then that will resolve the problem. Where the problem becomes visible, may not be the root cause. 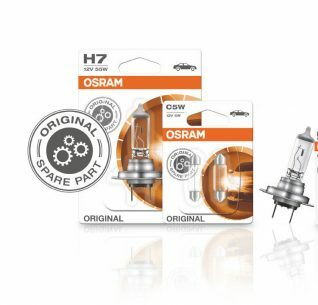 “Our distributors see a lot of parts that are returned due to the fact that they have failed early, and this is down to the fact that the original issue has not been rectified, damaging new parts much quicker. 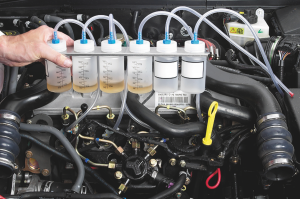 It may be a simple flush of the system that is required, but with a set of injectors costing £800 to £1,000 it can be costly to a garage if the part is misfitted or not required. “From injectors being returned to us, we have a three percent return rate on our remanufactured products,” he comments. “Of this, around 1.2% is accepted as we recycle a lot of products in our remanufacturing facility. The remainder is returned either due to contamination or incorrect fitting, or there is no fault found with the unit. 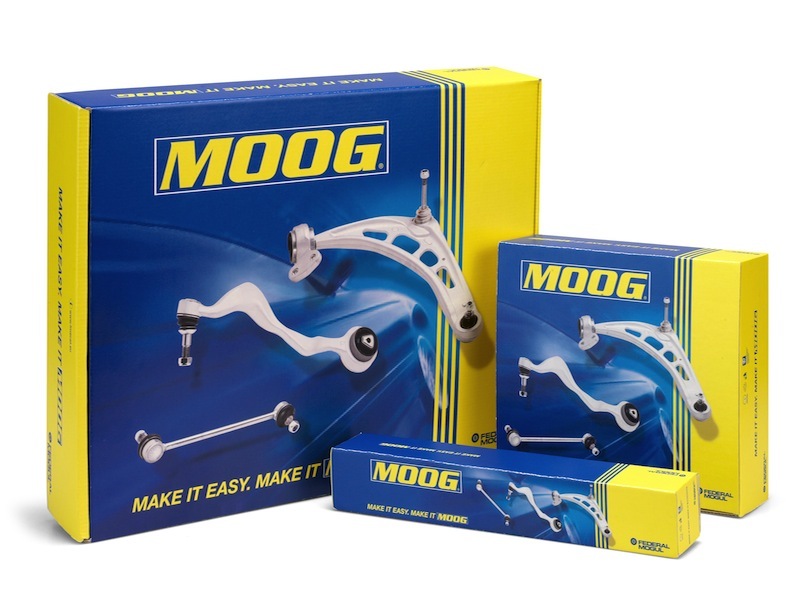 What customers do with the products can depend on the level of training on the fitment of these items. We find that some garages are fitting injectors and pumps as a process of elimination, and we return these once we have tested them to see if they are working or not. “Damage during fitment is not an uncommon situation for fuel pumps and injectors. 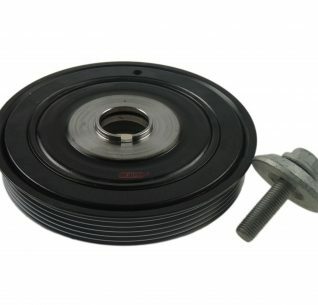 The most common issue we experience with ‘damage during fitment’ is broken fuel pipe connectors on the latest electric pumps. Whilst care should be taken when connecting and securing the pipes to ensure a tight seal, fitters should not over-tighten them as it can cause damage. 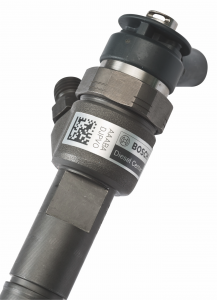 Ian Proctor, Diesel Product Manager at Bosch, adds: “We estimate that around 300,000 Bosch injectors are replaced in the UK every year and it is a part that is made up of very intricate pieces. 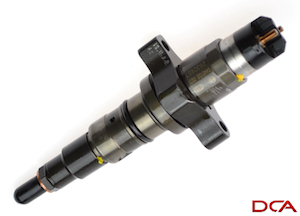 Most injectors tend to see a lifespan of eight years, however the tolerances they are subjected to are great. 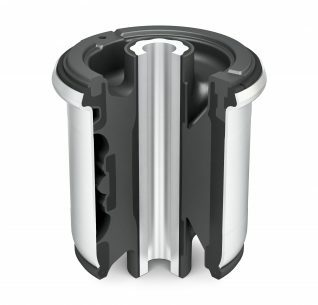 Any contamination in the system can mean particles being pushed through the small injector holes which can cause wear, this can add to early failure of a component and is included in that high number of yearly injector replacements. Which procedures should garages be undertaking to make sure of a correct diagnosis? Chris Newey of Cambiare adds: “Check the electrical circuits to ensure connections are in place, undamaged and in particular, free from rust. A common theme is that of contamination in the system, which throws garages off the scent when diagnosing fuelling problems. Cleaners can therefore play their part in repair, sometimes before the idea of replacing the injector or pump should come into question. As such an expensive and mechanical piece of the vehicle, diagnosing the problem in a fuel system is only part of the job and taking time to explore and rectify potential problems could save much future hassle. Parts are delicate and care is required, while attention is mandatory. As before, the VMs stand to gain from a scheme, but is the aftermarket organised enough to mount a challenge? Once again the ‘scrappage’ word is being bandied about as the way of removing these vehicles from our roads but, the question must be asked, will this not reward the perpetrators of the crime? Some of the vehicle manufacturers by producing ‘non-compliant’ vehicles could be said to have added to the problem; will those named-and- shamed be excluded from the list of ‘acceptable’ vehicles to benefit from any such scheme? – I feel that I can answer this conundrum, No! Those of us who can remember the hedonistic days of Tony Blair, his sidekick Gordon Brown and the ‘New Labour’ movement will remember that during their reign they were actively promoting diesel, due to its economy. As with so many things from that era, the genaral public are once again left holding the baby. Have we learnt nothing from the last scrappage scheme? The ‘dirty’ old vehicles are not the ones that will be replaced – the owners of these old ‘nodders’ don’t do so from choice, they own them because they can’t afford to replace them so a new scheme benefits the VM’s and the new vehicle owners. Scrappage starves the used market by frustrating the cascade of vehicles down to the cheap seats. If a scrappage scheme is introduced the VM’s will squander it in the name of increased vehicle sales and it will not benefit our sector one jot. If the diesel devil is the problem why not champion a ‘conversion’ programme; convert diesel vehicles to petrol or other propulsion methods? “Can’t be done!” I hear various commentators shout; as my old apprentice master used to say ‘you can do anything you want but first you have to want to do anything’ – of course it can be done but are the cost, benefits and the rewards big enough? I admit the problem will be the infernal electrics but nothing is insurmountable. If we look outside our own sector of the industry ‘transplants’ are common; those who can remember the original Leyland National bus will remember, probably with scars to remind them, that the original ‘headless’ engine was a god- awful contraption and were almost entirely substituted by Cummings or MAN engines; look at the boat industry and you will see the same happening across the globe – it can be done. There is no magic bullet, there will be several years of transition if the problem is to be sorted but we need to be looking at how we can turn weaknesses into opportunities and avoid strengths being threatened. With the ‘dirty old dogs’ could we, the Independent sector, not champion a need for maintenance? We know that vehicles which are not serviced are a large part of the problem – within the aftermarket there are a myriad of cleaning products; injector cleaners, fuel system cleaners, oil additives etc. which all help; the EDT engine cleaning system, I can attest, gives startling results both in economy and emissions. But we need to be careful that we are not seen to be peddling snake-oil, we need measurable, certified results and strong representation. Is the time not right (again) for us to promote the legislative need for vehicles to be maintained? The Government though will once again be lobbied by those with the loudest voice, the VM’s who will offer a quick fix and an offer to tick the box to appease the need rather than cure the problem. So why does the aftermarket never look at to providing the answer? Is it because we are fragmented with little enclaves each doing their ‘bit’ but no joined up thinking or holistic solution seeking? (By which I mean one firm sells parts, but another fits them; with each player being prepared to prey on the other rather than forming an alliance– hardly an environment for solution seeking nor likely to inspire confidence in others at the table looking for a solution). Once again our sector finds itself marred by its ‘independence’ – who will really represent our sector? The only voices heard around the corridors of power are the SMMT, the VM’s by any other name, and the NFDA representing the dealers but the Independent sector – either garages or factors – name your champion, when did you last hear their voice? So when the tide of opinion once again turns in favour of the VM’s, as it will, the independence from each other, the lack of unity, will have denied you a voice. Those of you who have tested yourselves using the now slightly outmoded SWOT analysis (Strengths, Weaknesses, Opportunities and Threats) will have realised that there is no black and white only shades of grey (I’m not referring to ‘that’ book) – an opportunity could have been as the result of a weakness and not to address it is now a threat but you could turn it into a strength so into which category do you put it? Now ask yourself the same thing about the Diesel fiasco, the problem is that it gets put into the ‘too difficult tray’ and the VMs become, by default, the only show in town. If, as we expect, this Scrappage MkII is going to get off the ground can we, the independent sector, try not to get caught napping; can we get our backsides into gear and organise ourselves? The old adage ‘are we failing to plan or planning to fail’ springs to mind – there is one racing certainty and that is if you’ve got nothing to say, don’t be surprised if nobody is prepared to listen. 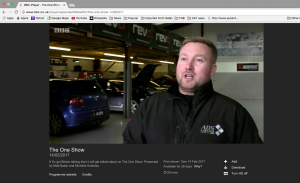 David Massey of ADS Preston has appeared on the BBC’s One Show to talk about the issues facing the owners of diesel car owners. “Diesel cars are now subject to much more stringent testing… In my opinion these cars now have a limited shelf life” Massey told reporter Vicky Butler-Henderson during a segment that sought to explain why the danger of diesel emissions have come back on the political agenda. “A lot of customers are very angry. They were promised by government that the cars were cheap to run, buy and repair, but this is no longer the case” added Massey. 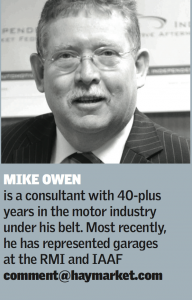 The feature also included Greg Avery, an Essex-based car dealer who noted a drop in demand for diesel cars by about a quarter as well as a shot interview with John Prescott, who was Transport Minister at the time that the government encouraged the up-take of diesel fuel. Butler-Henderson talked about the possibility of a new scrappage scheme and offered a few practical tips for motorists to pollute less when using their cars. Meanwhile, both David and Frank Massey are preparing for another edition of the AutoInform training event, which will be held in March at GTG Scotland. Pollution from many popular diesel vehicles gets much worse in cold weather, according to a report. 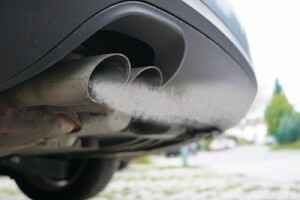 Information compiled by test data firm Emissions Analytics suggests that Euro 5 vehicles are the most affected. Tests were done on 213 models across 31 manufacturers and the findings indicate that vehicles could be operating for much of the time with their pollution controls partly turned off. 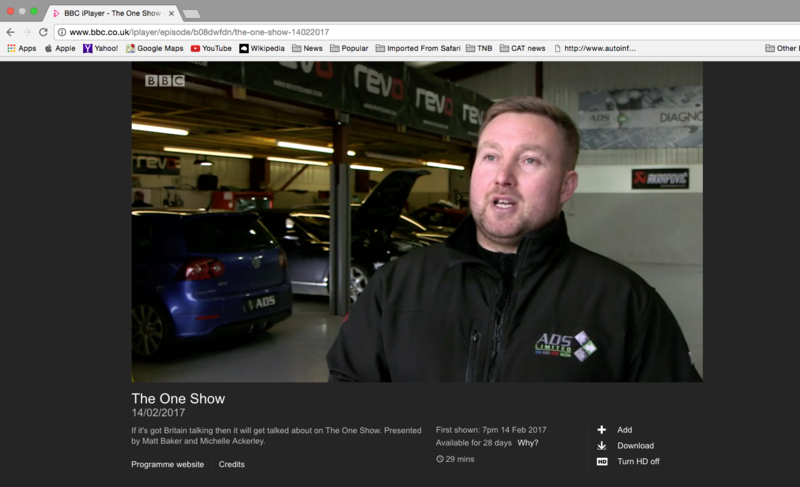 There is a suggestion on the BBC website that VMs are taking advantage of the rule to switch things off, even in mild weather, because it improves the consumption of the car. 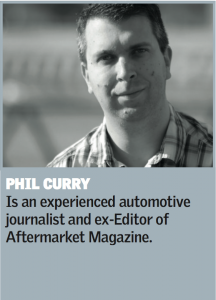 “I would say from the Euro 5 generation of cars, it’s very widespread, from our data. Below that 18 degrees [Celsius], many have higher emissions… the suspicion is, to give the car better fuel economy”; Emissions Analytics CEO Nick Molden told the BBC. “If we were talking about higher emissions below zero, that would be more understandable and there are reasons why the engine needs to be protected. But what we’ve got is this odd situation where the [temperature] threshold has been set far too high, and that is a surprise”. 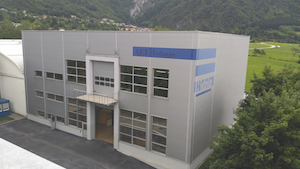 The firm also recently tested a number of current Euro 6 engines and found in real-world applications all of the four-cylinder engines on test produced more NOx than the largest V12 petrol motors fitted to super-luxury cars.